This recipe is a knock off of our favorite zucchini bread. Because, hey, everything is better when you add chocolate! 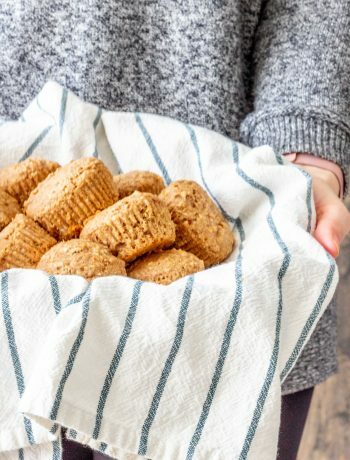 As another plus, they’re muffins, and muffins are smaller than a loaf of bread…and everything is also better when it’s in miniature form. Win-win here! 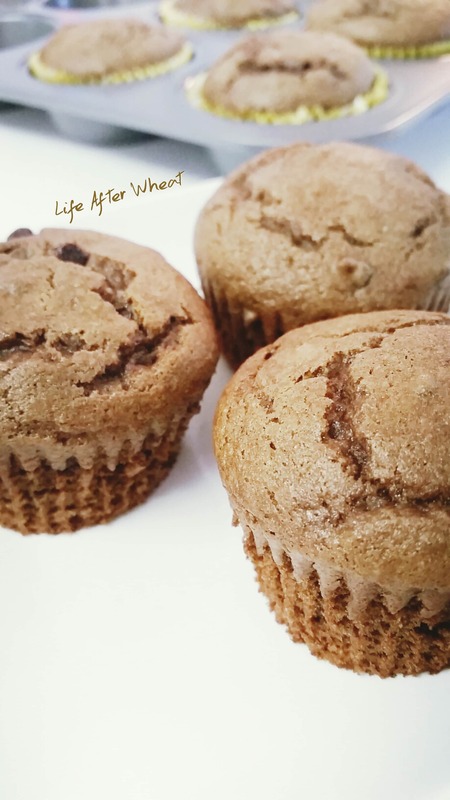 Adults and kids alike will gobble up these muffins. 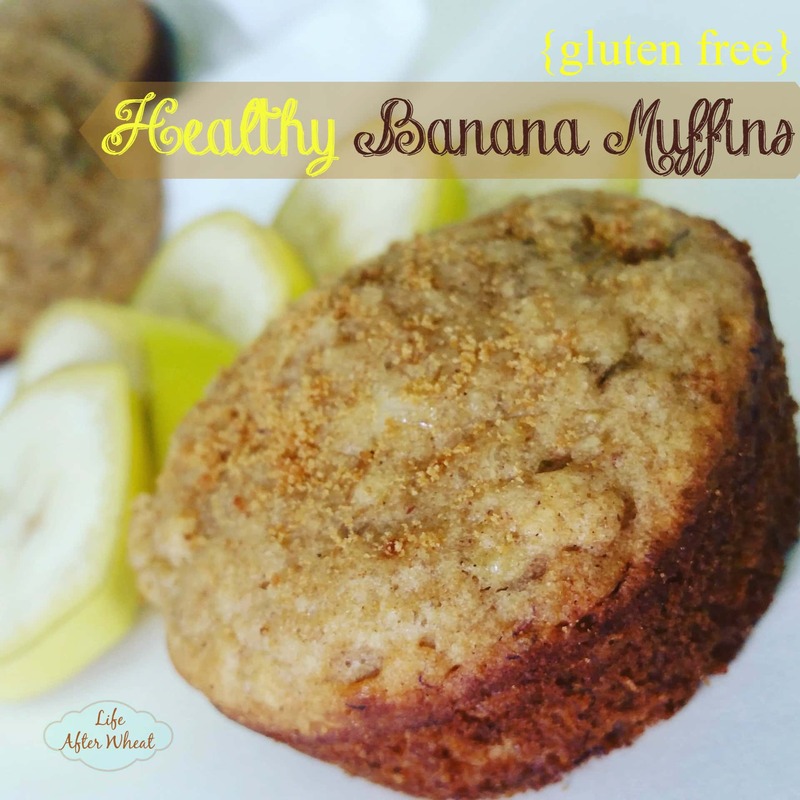 They’re great for breakfast, snacks, heck you could eat one for dessert! 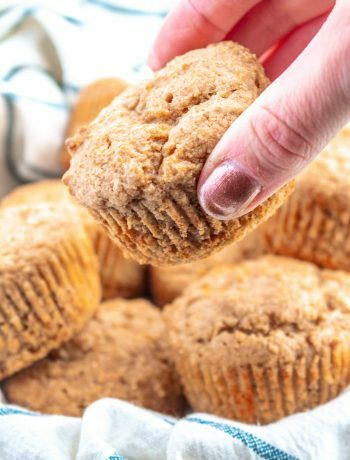 My favorite part, of course, is how easy these are to make, you can leave your grater in the cupboard because you’ll just be throwing everything in the blender and pouring the batter into muffin tins. No grating? Sign. Me. Up. They keep great in an airtight container on the counter for several days and also freeze well. From our family to yours, enjoy! you can substitute up to 1/2 cup of the oil with an equal amount of applesauce. My flour mix recipe works best for this recipe, but feel free to use another that you already have on hand. Blend oil, eggs, vanilla and 2/3 cup of the zucchini together in a blender (I use a Ninja) until you have 1 1/3 cup mixture. Add more zucchini if necessary to reach the 1 1/3 cup. Add remaining ingredients, except chocolate chips, and blend until smooth. Add chocolate chips and blend briefly just to mix them in. Line muffin tins with paper liners and pour batter into pans, filling about 2/3 full. Preheat oven to 350 (letting batter sit while you preheat oven eliminates any gritty texture). Bake 12-15 minutes, until toothpick inserted in center comes out clean. Let cool in pans for 10 minutes before removing to cooling rack. Store in an airtight container on the counter for 3-4 days, or freeze in freezer bags and pull out whenever you’d like one! This post contains affiliate links. If you purchase something through these links, I will receive compensation. As always, I only link to products that we use and love and therefore think you will love, too! 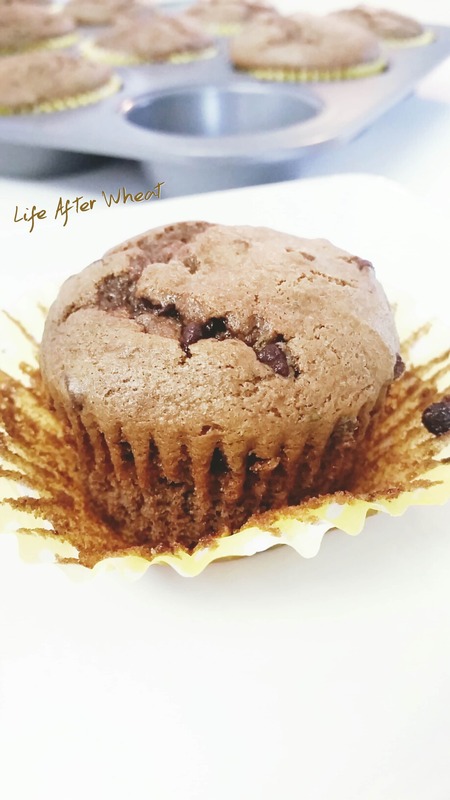 Coconut Rice Gluten Free Muffin Roundup! 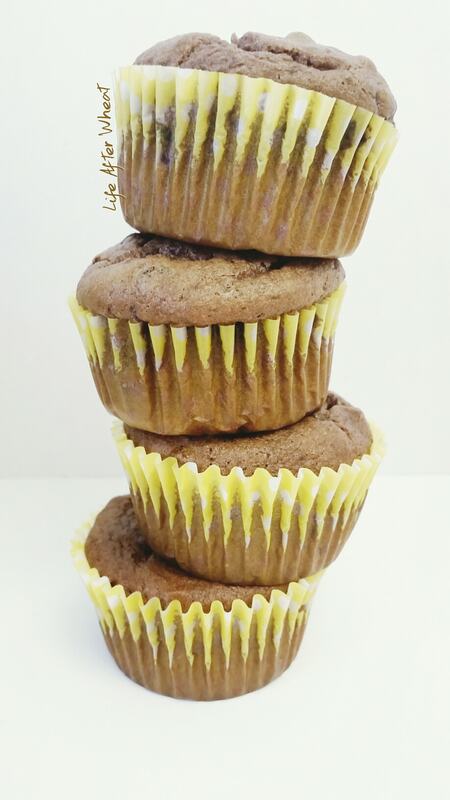 EVERYTHING is better with chocolate…but also zucchini! I add it to everything! I made zucchini pancakes every weekend and always bake with it! Great idea to add it to pancakes, I need to give that a go! I LOVE that you don’t have to shred the zucchini! Brilliant! I couldn’t agree more! Enjoy! I love that you made these in the blender! I LOVE that you don’t even have to grate the zucchini. I’ll definitely have to try that!